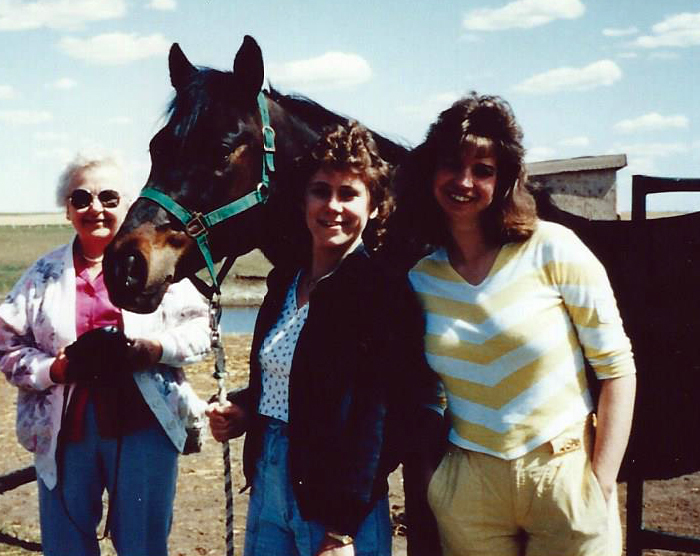 Tracy (the instigator) many years later visiting another farm, with Aunt Frieda and my Anglo-Arab Echo. Two of my older brothers had a horse a few years before that, a little bay named Ranger (although I wouldn’t have known he was a bay at the time). 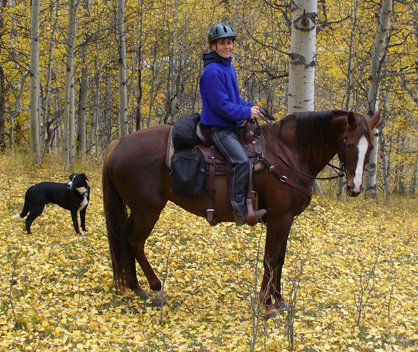 I liked animals so I probably liked Ranger well enough and I remember riding on him behind my brother David, running along a trail through the woods on our property. But it didn’t stick. Experiencing Ranger via my brothers, he seemed more like any of the other toys on our acreage–boats, snowmobiles, bicycles–and I didn’t make a personal connection. With Village Lad in 1976. Since those early days of trying to stay on Lad’s bare back, there have always been horses –companions, teachers, and friends all. Each one left their mark, and their influence has found its way into nearly every aspect of my life. Even my novel about an artist who spends winters on a beach in Mexico managed to feature five chapters with horses. From age fifteen to nineteen it was Shandy (right), a very spirited half-Arab. 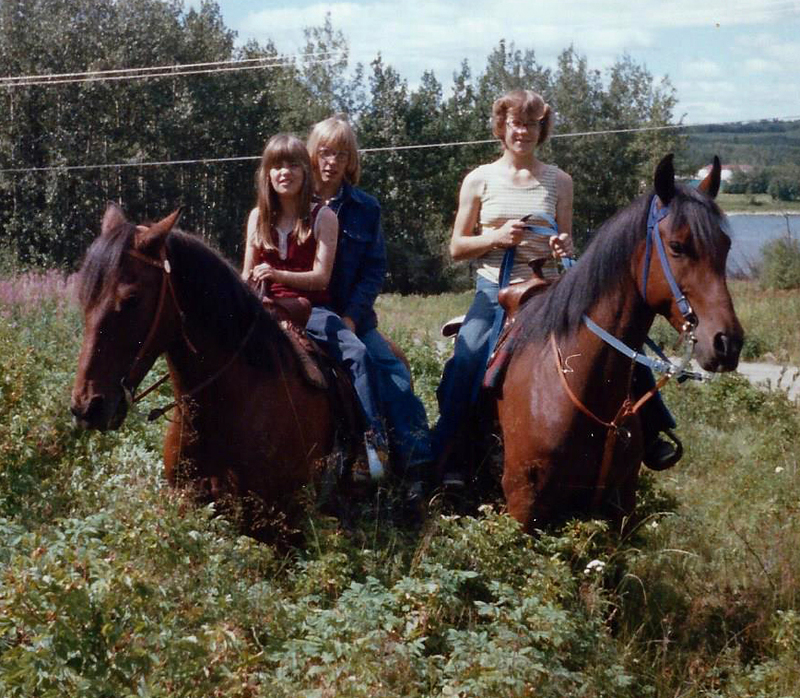 On the left, my sister Susan and cousin Noreen on Susan’s horse Pride. 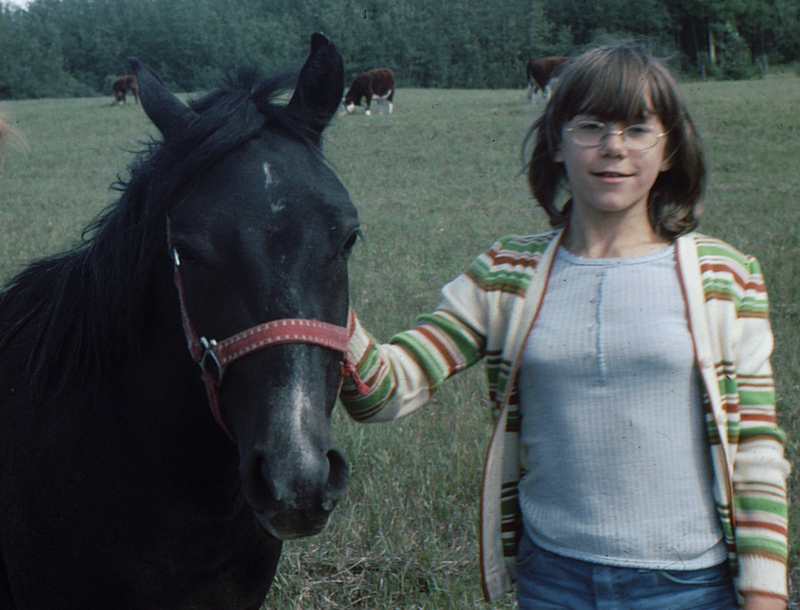 I can’t say specifically what it was about horses that captured my imagination forty years ago. Their beauty? Their spirit? Their strength? Or maybe it was as simple as their smell. What I do know is that through forty years of adolescence, young adulthood, middle age, and now what is apparently “mature adulthood”, they’ve been the thing that hasn’t changed, an enduring love, my lighthouse in the storms. 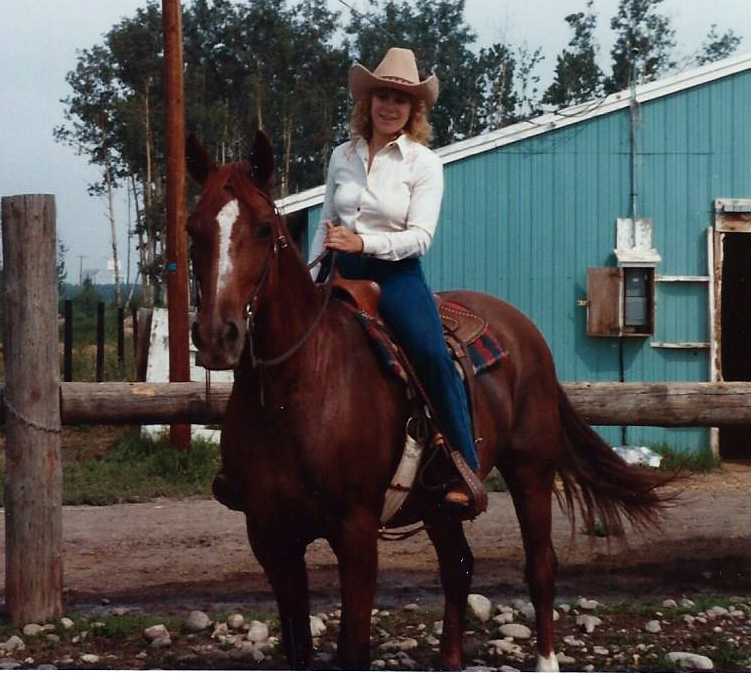 Headed for the Fort St John Rodeo Parade in 1982 aboard my Quarter Horse mare Bonnie. They say the outside of a horse is good for the inside of a man (or woman) and this is certainly true for me. They’ve been a connection to the natural world through years of living in the city, a gift of groundedness, and a constant reminder of how little control we really have, but in a good way. Forty years later, burying my nose in a horse’s neck still makes me smile and climbing on a horse’s back I leave all troubles behind on the ground. With Thoroughbred mare Alta Royale at Indian Graves in 2006. I wonder sometimes if it was inevitable, if horses would have infiltrated my heart and my life at another point if not for Tracy and her Arabians. It’s hard to imagine my life without them. 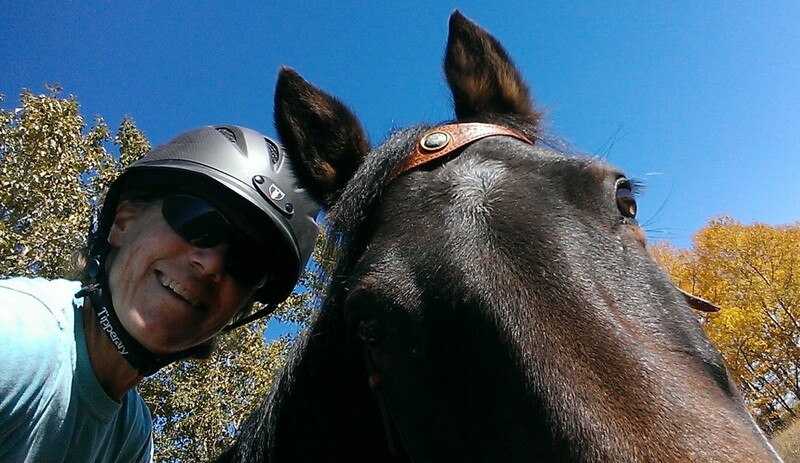 I have a t-shirt that reads “The trail I travel is on my horse, that has made all the difference.” I believe it has. 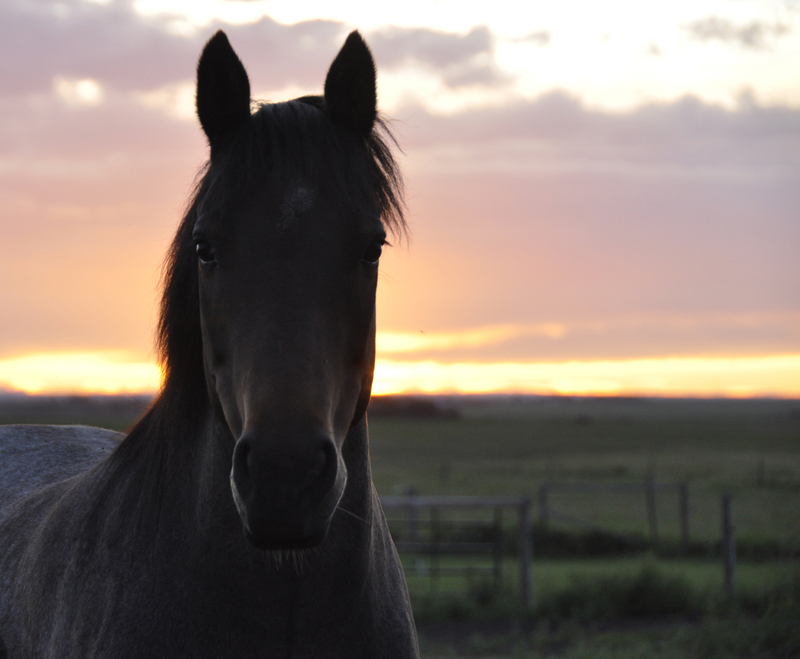 So, thank you to the horses who have cantered through my life. Thank you for giving me a place to pitch my tent. Thank you for being my rock. My eyes filled with tears when I read this. So very poignant. Such treasured memories. I got a little teary myself.